Contact Electrical Wholesaler, as one of the leading Independent Electrical Wholesalers based in the heart of Birmingham, we have built our reputation on providing a professional service, with skilled efficient staff and a vast product range. As Contact Electrical Wholesale Limited is a Member of the large buying consortium, The Independent Buyers Association (The IBA), we are able to provide an extensive network of branches across the United Kingdom and Ireland. 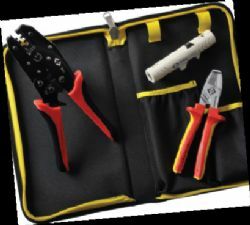 Contact Electrical Wholesale Ltd, supplies all kinds of Solar kits such as Solar Panel Installation Tool Kit, Solar Kit with Ratchet, Solar PV Installers Test Kit, Solar Installer Kit, etc.